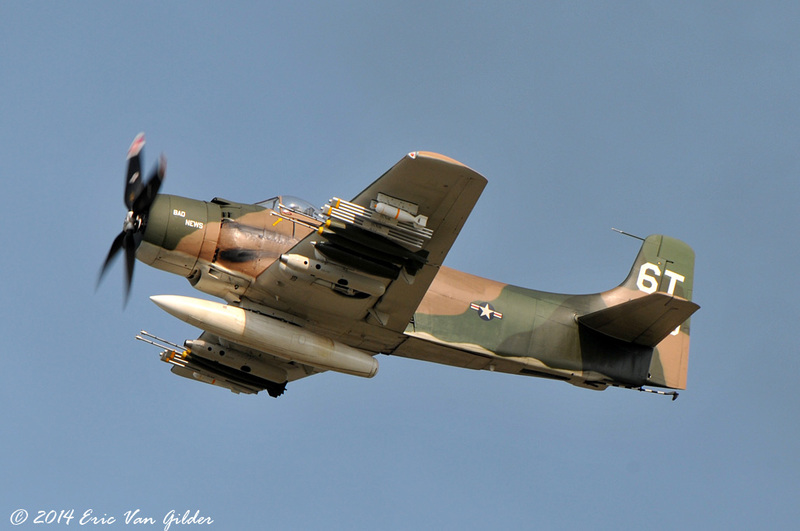 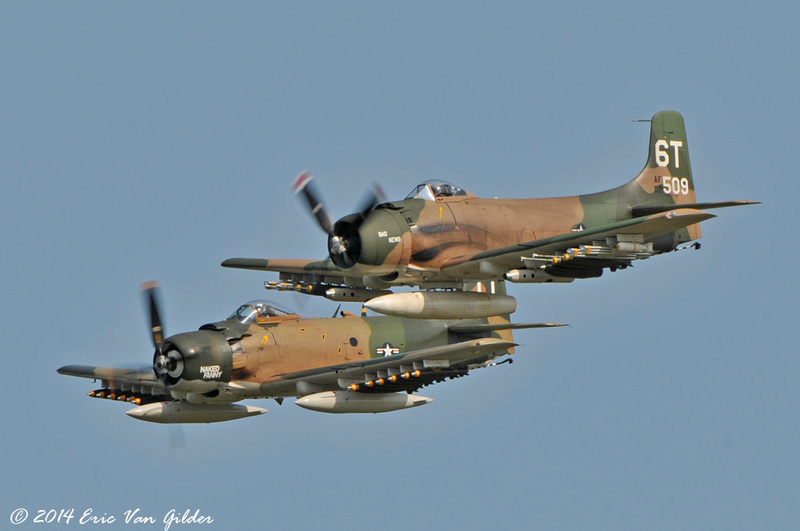 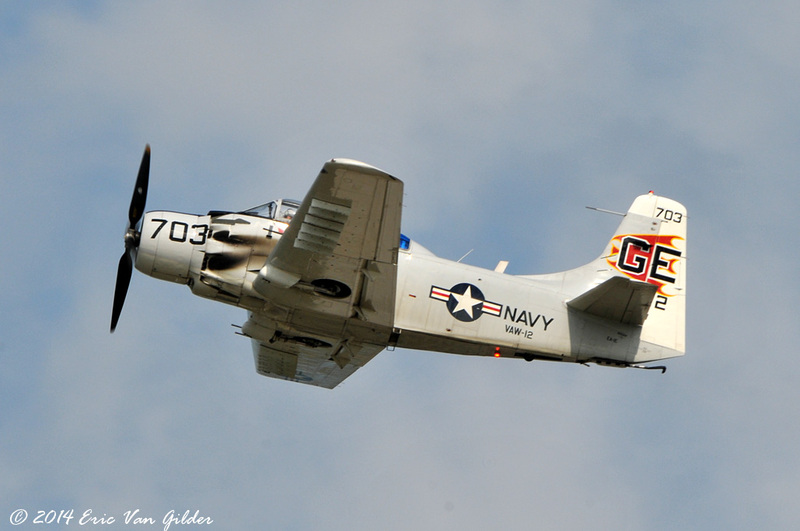 First flown on March 18, 1945, the Skyraider saw extensive use in Korea and Vietnam. 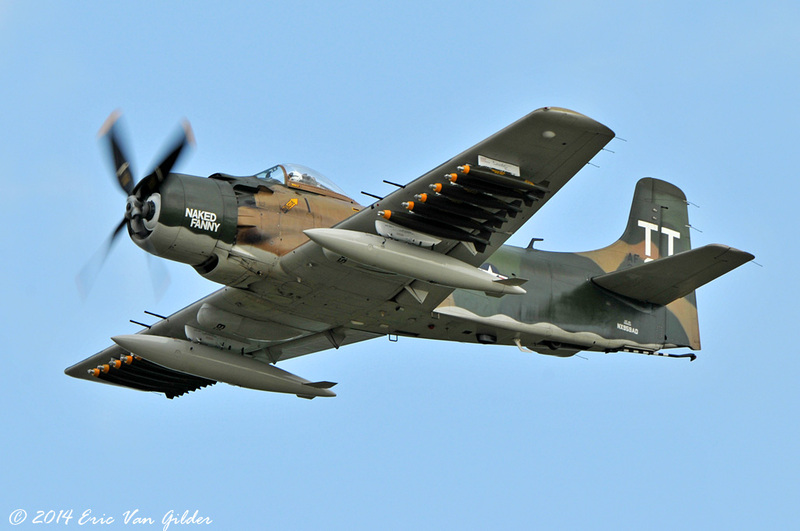 Able to haul a heavy load of ordinance and loiter for prolonged periods over the target, the Skyraider filled a role that jets could not perform. 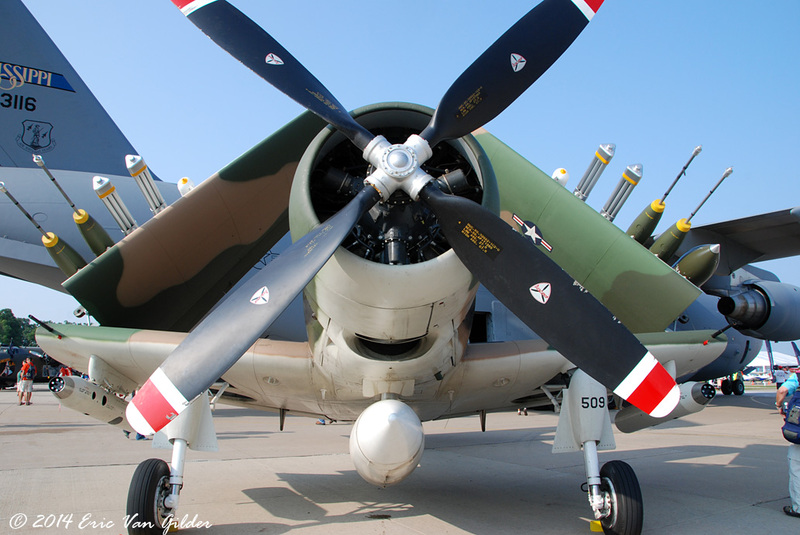 They performed Ground Attack, Search and Rescue and Forward Air Control missions in both wars. 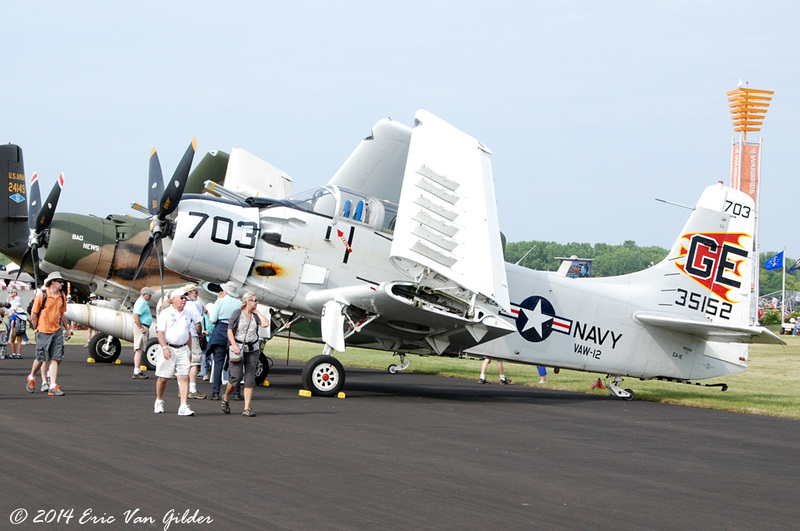 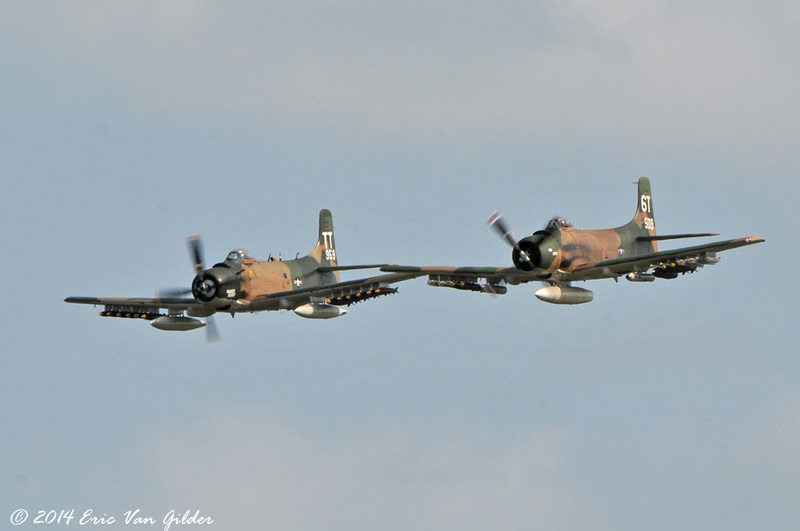 There were three Skyraiders at the event.